Thermos flasks can keep coffee and tea hot for hours because there is a vacuum insulated intermediate layer between the double vessel walls. With the two concentric glass tubes, VRK evacuated tubes also form a hermetically sealed space that is vacuum insulated. In addition to this, the outer surface of the inner tube is coated with a highly efficient, environmentally friendly absorber coating. This converts incident sunlight almost completely into heat and radiates almost no heat. The inner tube becomes hot while the outer enclosing tube remains cold. To also irradiate the side of the evacuated tube that is not facing the sun, the optimised geometry of a highly reflective, weather-proof CPC (Compound Parabolic Concentrator) reflector concentrates direct and diffused sunlight onto the absorber from almost all directions. This increases the efficiency of the evacuated tube collectors compared to conventional collectors. Especially under unfavourable conditions, e.g. during autumn and winter, when the sky is overcast, during morning and evening sun and when the roof surface does not face south. The VRK evacuated tube collector with CPC reflector technology is a high-end, mature product. The VRK demonstrates its performance capabilities especially with low irradiance values and low ambient temperatures. These properties make the VRK highly suitable for the provision of backup heating. 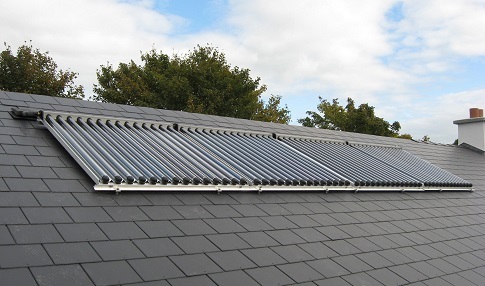 Distinguishing features of the K420 DH roof mounted flat panel solar heating system are its optimised aperture area, their high efficiency and elegant design, as well as the simple and flexible installation. The new collector housing contains laser-welded Cu or Al absorbers with 2 hydraulic interfaces on the top of the collector. The rigorous prevention of thermal bridges allows the highest output levels. The secure glass mount featuring two separate sealing levels made of UV-resistant material guarantee ultimate product reliability and durability. The frame profiles are manufactured from high-strength, corrosion-protected aluminium. 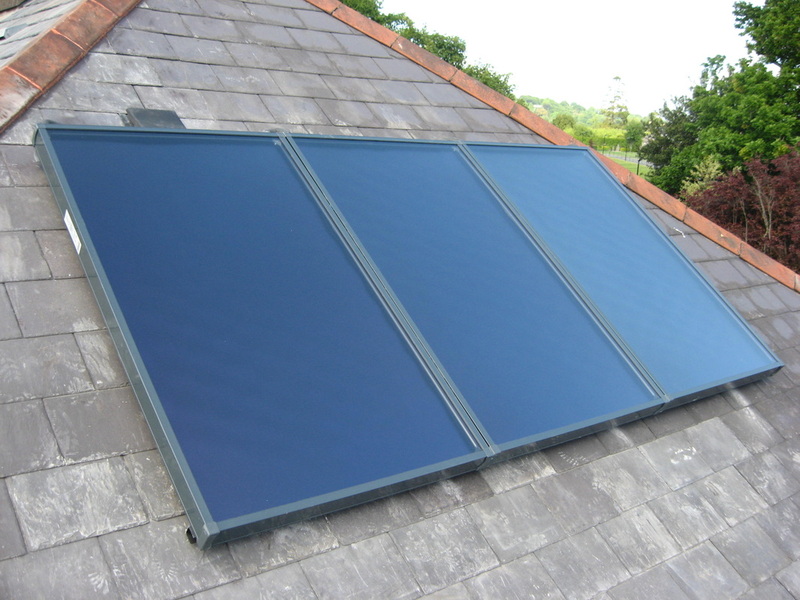 The Integra In-roof Integrated Solar Panel consists of a double header absorber construction. 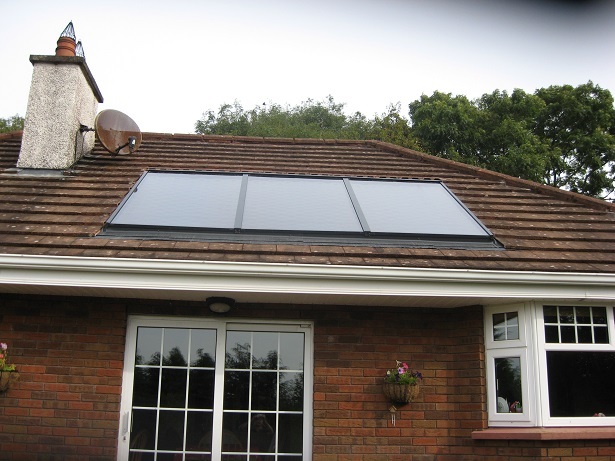 The accompanying flashing kit compliments the sleek timber housing and provides a water and wind tight assembly and guarantees a hassle free and aesthetically pleasing solar panel assembly. The exposed panel components are resistant to UV, freezing and salty environments. The unique glass mounting feature guarantees the ultimate product reliability and durability. 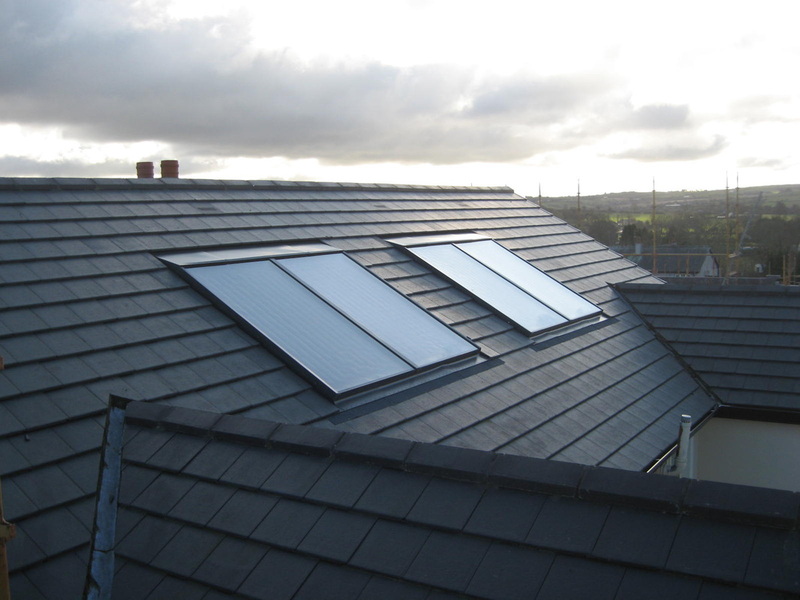 The Integrated Collectors are suitable for both new roofs and retrofitting to slate, flat or rolling tile roofs. - SEI registered SEI-ST-265, No Pipes Showing. The ESTEC Prestige 8210 roof mounted solar panel collector is the next generation of collector technology to be produced in Austria. The latest collector absorber properties allow maximum solar gains during all types of north European weather conditions. 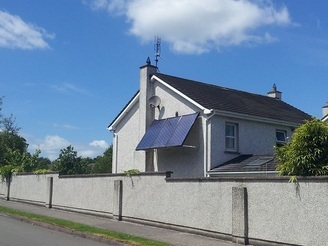 The collector type allows for various assembly techniques to facilitate even the most challenging collector locations, for example flat on pitched roof, raised on pitch roof, plinth, facade and gable mounted. The exposed panel components are resistant to UV, freezing and salty environments. The unique glass mounting feature guarantees the ultimate product reliability and durability. 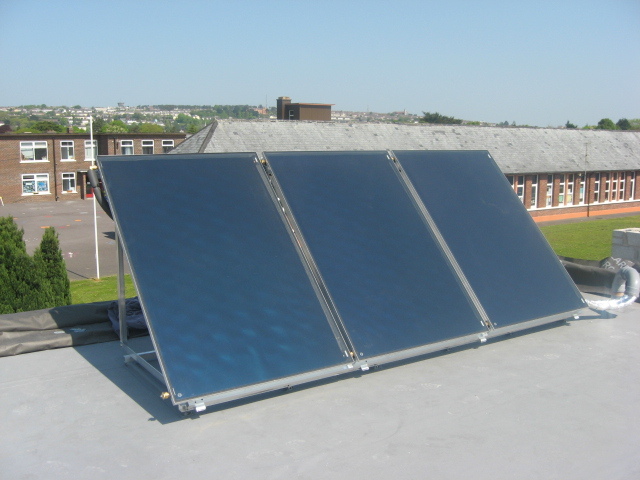 The Dimplex Solar SOLCDF32 consists of a two piece bracket system which is rapidly assembled including either a 20 or 30 tube manifold. 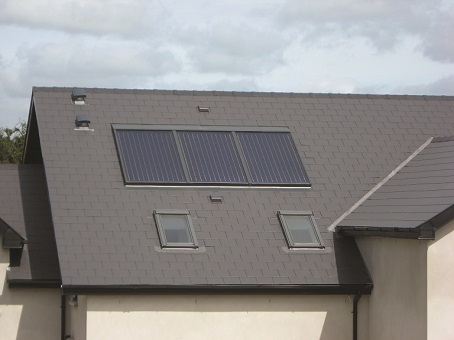 Maximum solar gains are achieved through excellent efficiencies and minimal heat losses giving all year solar benefits. 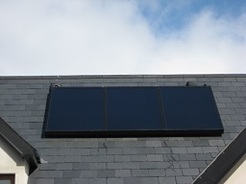 - Panels Designed, Manufactured & Tested in Germany. The Kingspan Vacuum tube products are manufactured and designed in Northern Ireland, and are designed uniquely for Northern European and American climates. 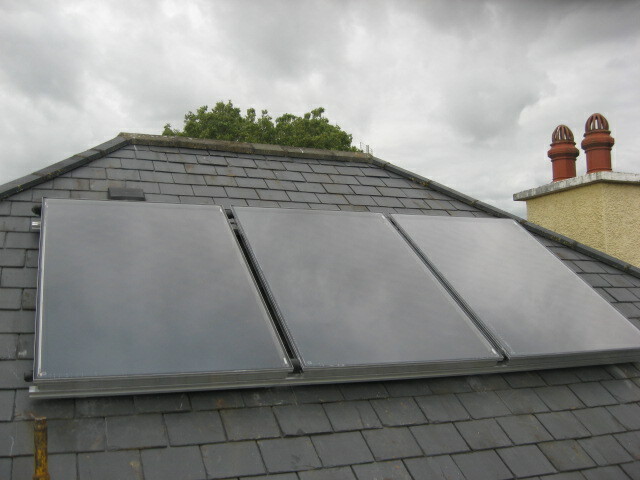 Kingspan also supply an attractive flat plate alternative, but not as attractive as the very successful K420 Flat Plate. Each Kingspan Vacuum tube collector consists of a highly insulated manifold and a row of tubes. The vacuum inside each tube provides highly effective insulation, protecting the system from outside influences, such as cold and windy weather or high humidity. This vacuum insulation also ensures that the energy collected from the sun is very efficiently and effectively transferred into usable heat as there is minimal heat loss. 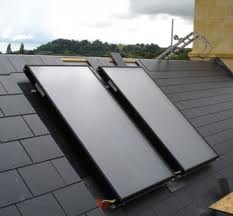 To achieve maximum efficiency solar collectors have to face south. 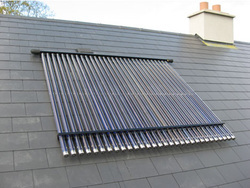 Kingspan allows for each tube to be turned 25° to attain maximum sun collection. If not, then an east-west system can be fitted. 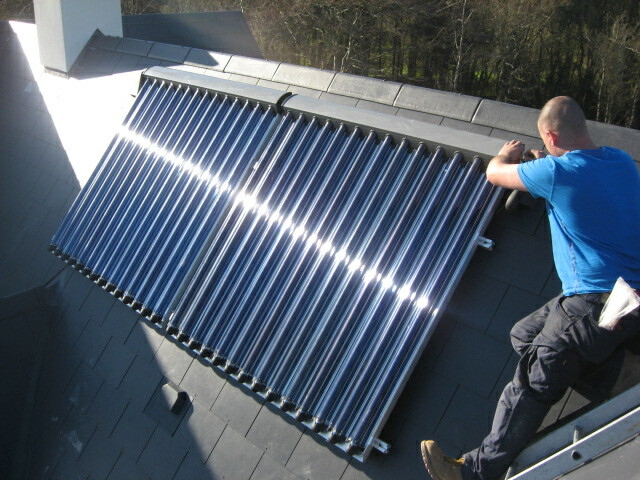 Solar Thermal can provide a benefit to your central heating. The benefit is especially dependent on the heat demand of your house. 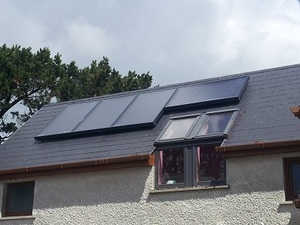 If you are interested in utilizing a solar thermal system to provide space heating support, then please complete the questionnaire and return to Clean Energy Ireland. Heating water for milking parlous can be very expensive. 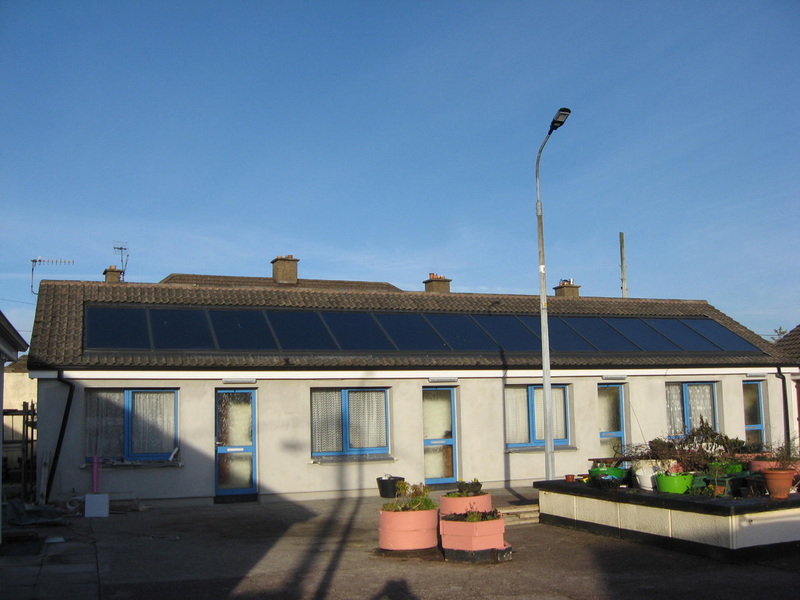 Clean Energy Ireland supply and install solar panels and preheat solar cylinders for individual dairy washing requirements. Under the SEI managed Reheat grant programme, support of up to 30% of eligible costs is available for capital investment projects. 1. 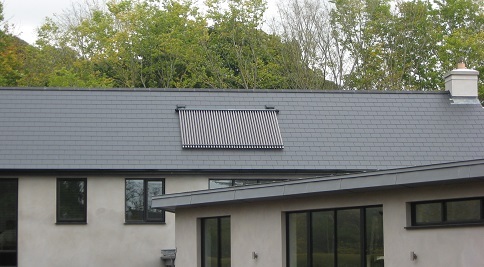 The applicant must have had a feasibility study or design study done to determine the appropriate size and type of heating system(Clean Energy will complete this). 2. 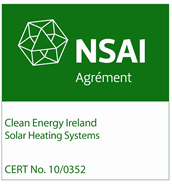 Technical criteria including standards for each technology as listed in the Application Guide(Clean Energy Ireland will complete this). 3. The applicant must have a valid Tax Clearance Certificate. 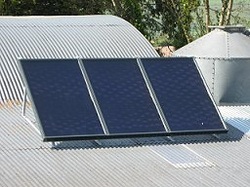 Why install Solar in Milking Parlours? 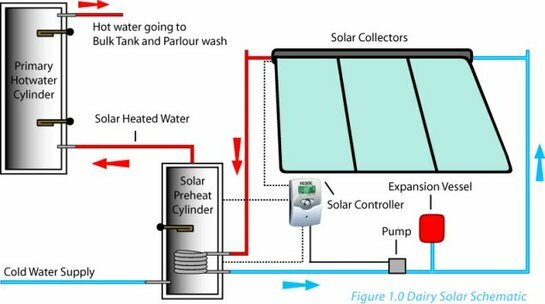 Solar thermal energy is the cleanest form of renewable energy; it is also economic, contributing up to 70% of the milking parlour’s Bulk tank and milking machine hot water requirements during the milking season. 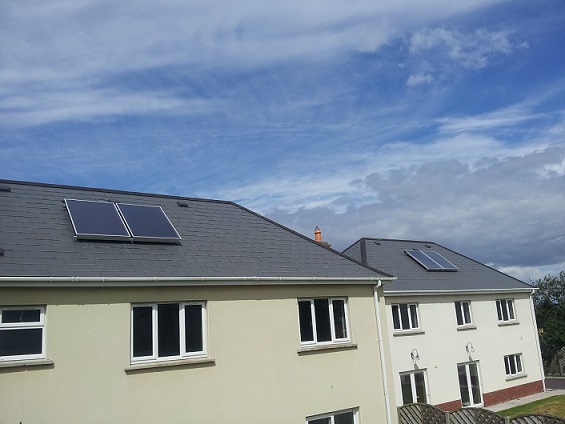 Depending on your hot water demands and your current primary energy source a solar package has a payback period of approx 6 years. While this may seem a long time the useful life of the package should exceed 30 years.